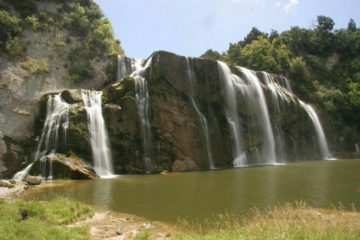 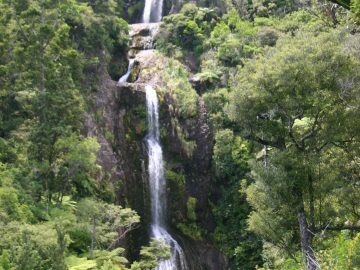 The North Island Waterfalls are just one of many attractions in this more developed and populous of the major islands of New Zealand. 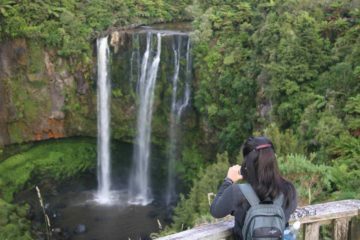 Anchored by the country’s largest city in Auckland and its capital in Wellington, we were treated to a very diverse mix of cosmopolitan cities, Maori culture, idyllic pastures, and still plenty of Nature. 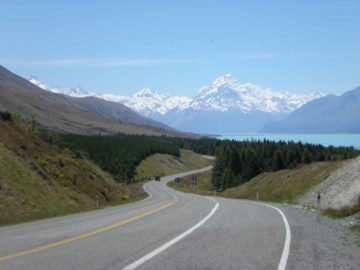 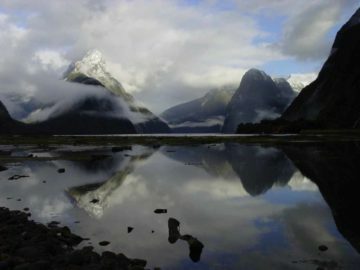 In fact, the Nature aspect itself was blessed with diversity from sandy surf beaches, fern- and moss-laden native rainforests, snow-capped and bush-clad mountains, mysterious caves with glow worms, giant Kauri trees, colourful lakes, geothermal hot springs and turbulent mud pots, and even active volcanoes. 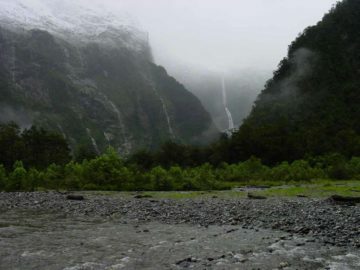 Through our waterfalling escapades, we’ve been to Mt Taranaki (almost a doppleganger for Mt Fuji), done the Tongariro Crossing through the heart of the volcanic Central Plateau, experienced the hot springs of the Rotorua area, and seen glow worms in the Waitomo Caves among others. 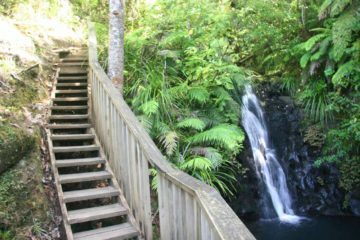 In fact, Julie and I even got married in the Coromandel Peninsula where white sand beaches and natural arches next to white rock stacks made it quite the place to appease our sense of relaxation and adventure at the same time. 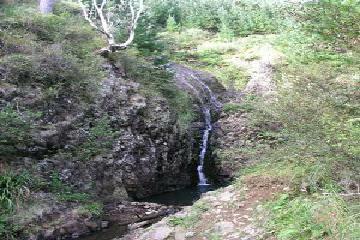 Anyways, as you can see from the map at the top of this page, the waterfalls were everywhere. 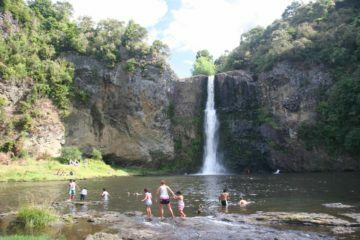 Among the waterfalling highlights include Kitekite Falls in the Waitakere Ranges, the impressive Waipunga Falls between Taupo and the art deco Napier, the remote Mokau Falls deep in Te Urewera National Park, and some of the more well-known waterfalls like the colourful Huka Falls, the towering Wairere Falls, the classically-shaped Marokopa Falls, and one of the North Island’s taller waterfalls in Mt Damper Falls among others. 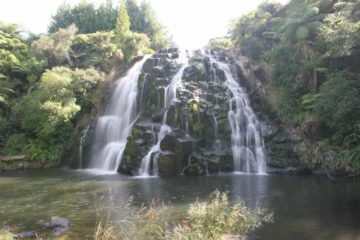 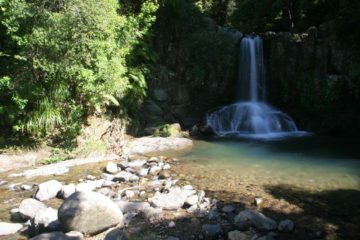 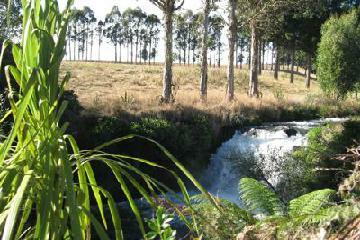 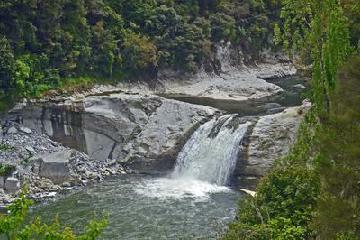 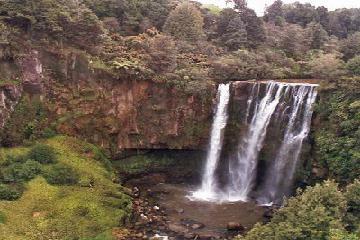 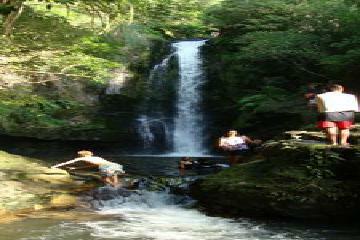 So how will waterfalling the North Island create blissful memories for you? 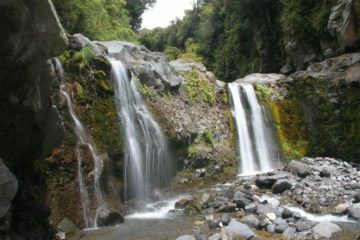 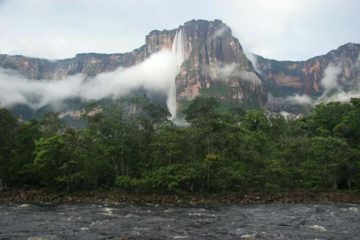 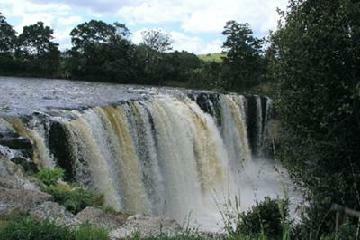 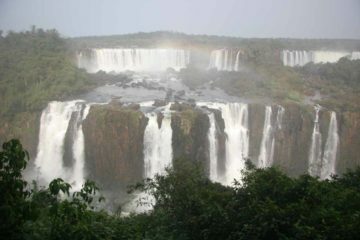 Check out the list of waterfalls below and find out!